I’d seen these boulders on a secluded beach from the cliff top but never attempted the scree slope decent as it looked a little dodgy and the boulders, a little small. What an idiot! Yes the descent is well dodgy but the boulders are big, 7m big! There’s also more than just the handful of problems that I’d originally thought would be there too. 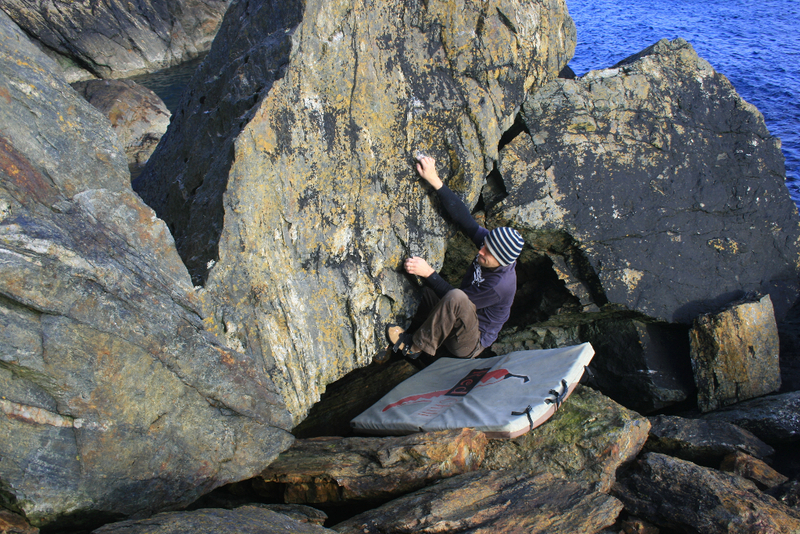 With 8 individual boulders and the smooth sea sculpted walls there are dozens of problems from highball aretes to steep sit start cave problems. 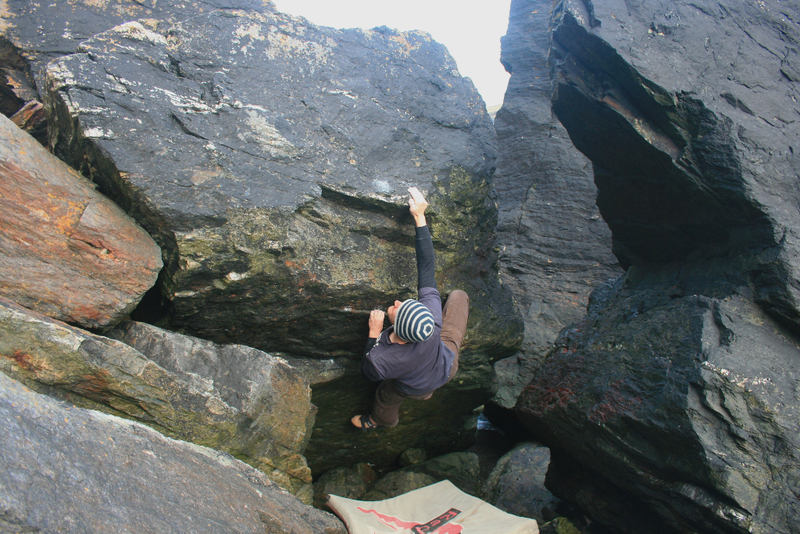 There are currently 12 problems climbed to V7 and the sea stack has been climbed at HVS 4b. 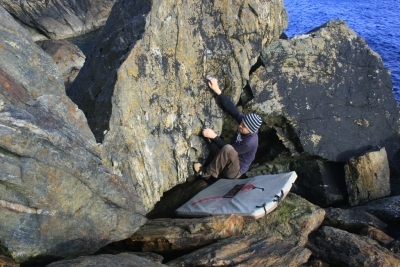 The problem pictured above called The Rail was climbed in March 2012 at V7. On a repeat attempt during the summer the main rail hold (being held by left hand in the image) broke off leaving a lower smaller rail hold. This makes the problem more difficult and has not been climbed. It’s a real pity that hold broke off, it was a great problem!